Handy - lightweight - always and everywhere! With 10 years of experience and excellent service quality, DENQBAR is the ideal partner for your investment in the best generator for your purpose. Whether beginner or experienced professional - we will find the perfect solution for all our customers. Quiet, smooth, quickly ready for use and space-saving in storage: These are the characteristics with which our entry-level model will capture your heart. 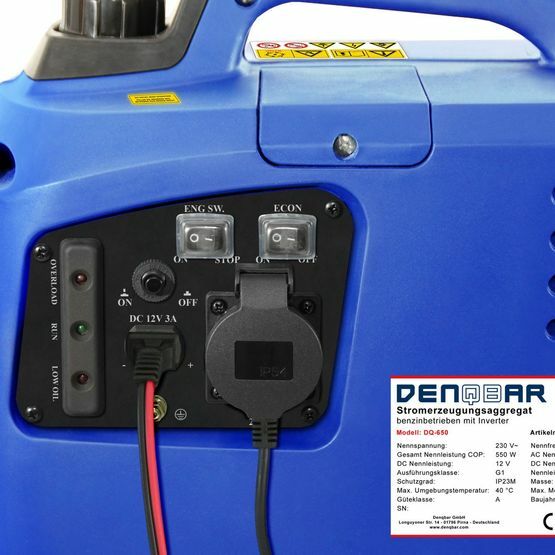 Datasheet of the DENQBAR Inverter power generator DQ-650 to download. 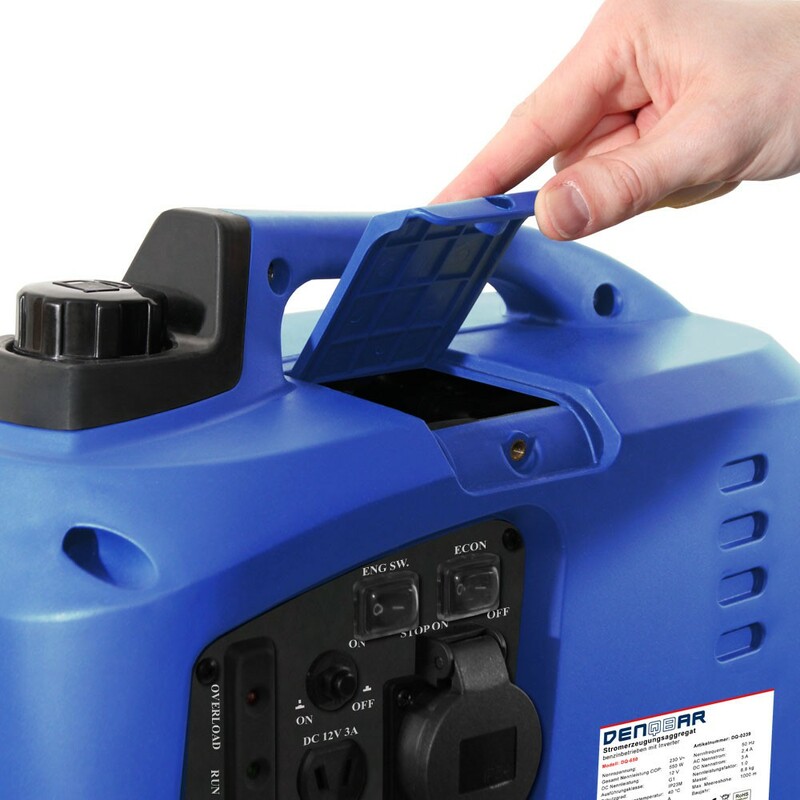 What is the point on having a mobile generator, when starting seems like a never-ending story? At DENQBAR, we want you to get your power when you need it. 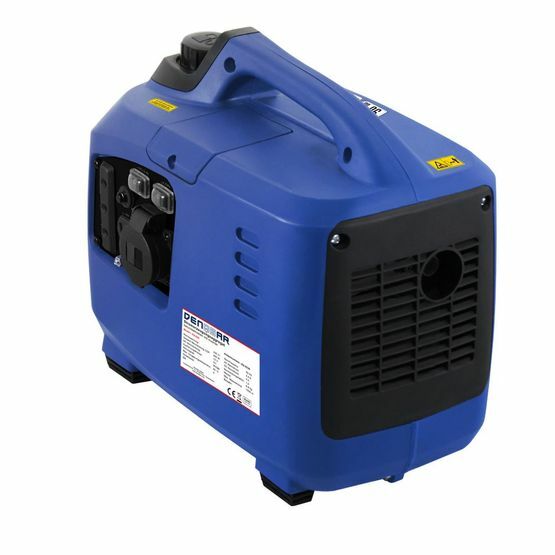 Therefore, our inverter power generators are equipped with an easy recoil starter system. Due to the reliable Transistor Charger Ignition (TCI), great efforts for starting a generator are definitely out-of-date. Just press the switch to ON, set the choke on starting position, quickly prime the petrol with the pump and pull the recoil starter 1-3 times – et voilà, it‘s ready to use! 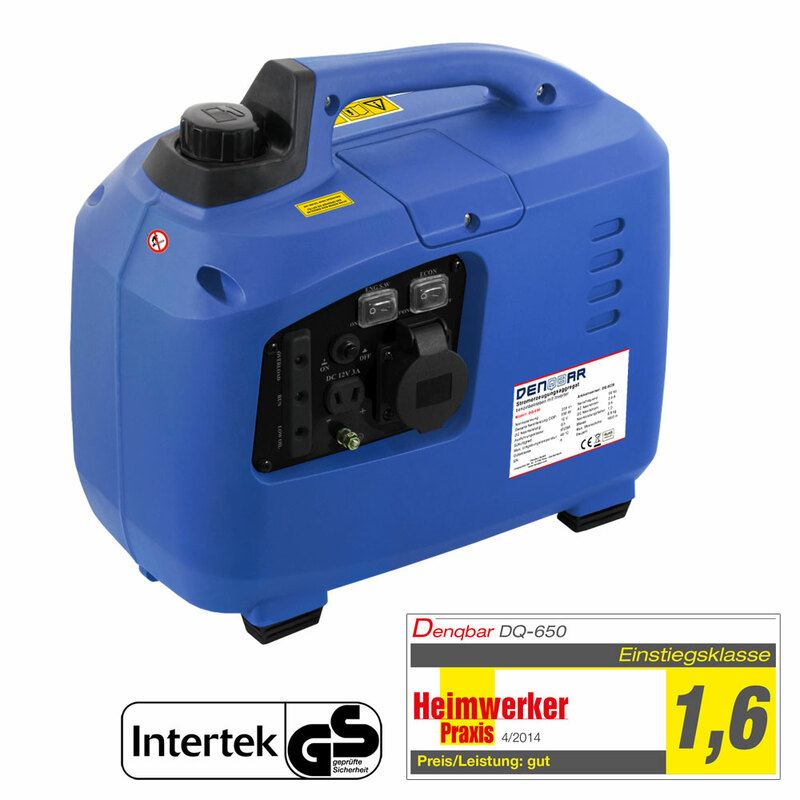 Small does not always mean powerless - with our DQ-650 we could persuade the test office of "Heimwerker Praxis" sustainably. The side surface of our “small one” is barely larger than an A4 sized sheet, yet he passed all tasks with flying colours. The low weight as well as the encapsulated construction, which ensure quiet operation, making it the "ideal partner" for entry-level applications. 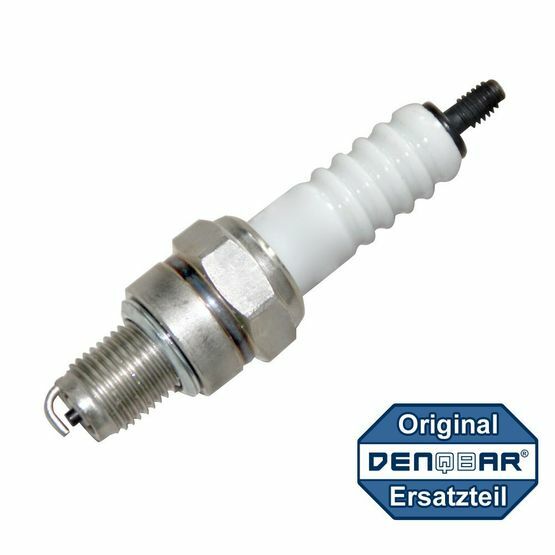 "Geprüfte Sicherheit" (Tested Safety) - The GS mark confirms this product to be safe, legally valid and of high quality. We have voluntarily subjected our product to a stringent quality control by an independent licensed notified body. This certification has been awarded by Intertek with the Certificate No 17SHS1804-01. Cooling drinks from your own cool box are refreshing, especially in hot summer temperatures. It is also nice communicating with your loved ones at home via smartphone, even when you are just enjoying the great time at a festival. Both eventually need electricity for charging, which is clearly hard to find even on a campsite. We have got the perfect solution! 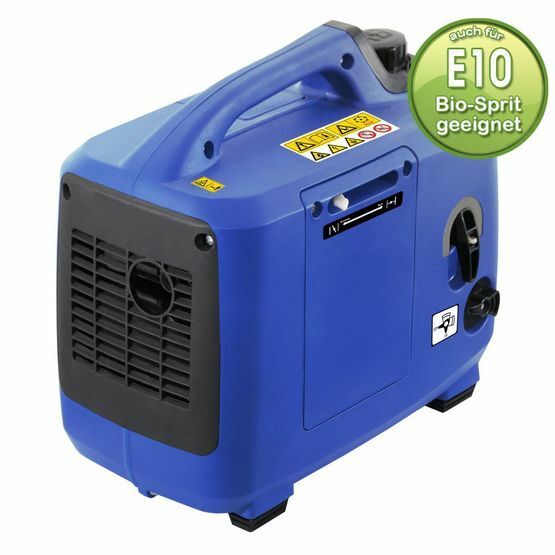 Just use one of our quiet and handy mobile inverter power generators next time! Our 650 watts inverter power generator is the entry level model of mobile power generation in our product range. Due to its capsulated design, the DQ-650 offers a quiet operation that eclipses conventional power generators. Further advantages are the impressively low net weight of only 9 kg and the exquisitely handy design - from now on you can use your own power supply, not being dependent of time and place! Despite the very compact dimensions, we still did not save on innovative technologies: Our "small one" offers the latest inverter technology, which guarantees a clean and safe power output at all times. Risky voltage fluctuations are therefore belonging to the past, so even sensitive electrical devices (such as LCD TVs, computers and laptops) can be operated without hesitation.